Pokemon fans gathered at the Bean in Millennium Park on Sun., July 17, 2016. 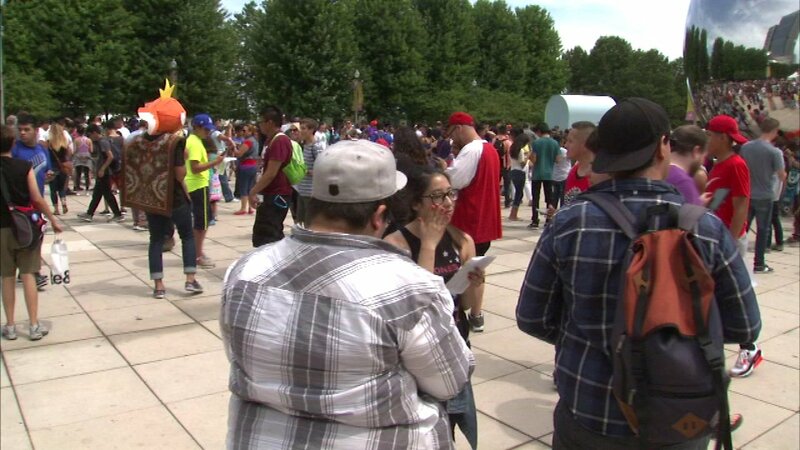 CHICAGO (WLS) -- Thousands of Pokemon Go fans met Sunday at the Bean in Millennium Park. The meet-up happened after a Facebook group invited fans of the game to attend. Pokemon Go is the newest game craze that lets users explore their neighborhoods to search for imaginary monsters. On Saturday, Pokemon fans of all ages met up in the city's Rogers Park neighborhood to play the game. State Rep. Kelly Cassidy, D-Chicago, hosted the meet-up which offered prizes for the most creative Pokemon pictures. Cassidy said the game encourages people to explore their neighborhoods and meet new people. Briefly Saturday, Pokemon Go players couldn't catch much after hackers crashed the app. The game was launched in 26 new countries, bringing the total to 34. In addition to the U.S., Australia and most of Europe now can play the wildly popular game.